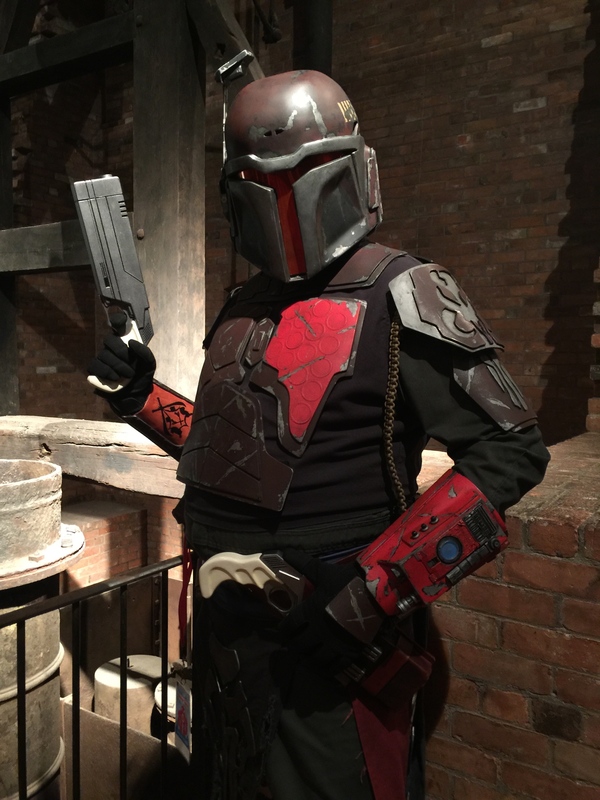 Since I did start working on the first Blaster for my Mando i thought to make a Blaster Diary. 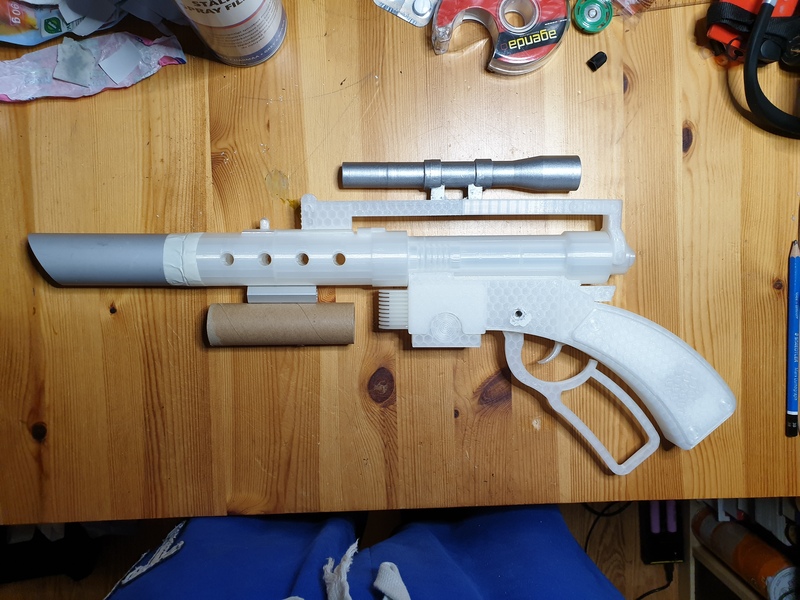 So here the beginning of Blaster No.1, did find the file on Thingiverse, and added some small extras to it. Still needs color though, the grips I did upholster with leather. Current length of the Blaster 41.5 cm. Blaster No.2 is still in print, will post that one when I have something to show for. That's quite pretty. I always enjoy props that give homage to Star Wars' space western roots. 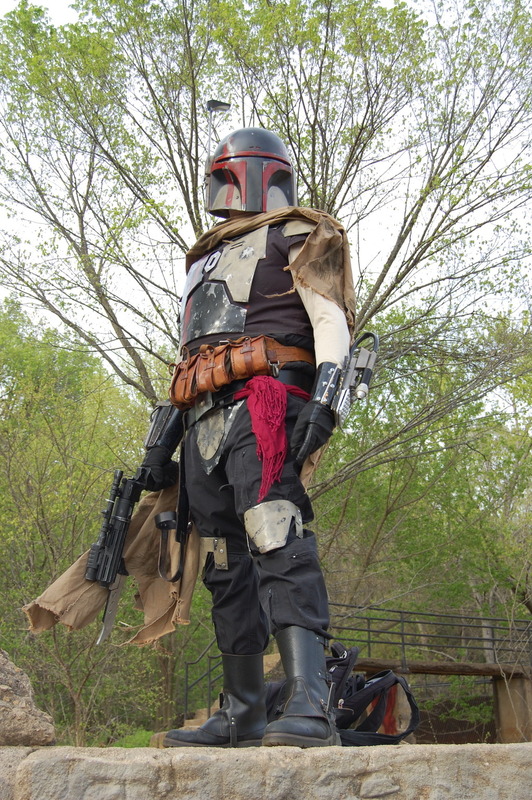 I'm working on a pair of those same blasters. They should go real well with the kit I'm planning. Can't wait to see how yours come together. this is only a rough assembly, placeholder parts might change. That first one is my favorite brand of Space Western awesome. Good work! I dig what you’ve got going on with the second one (is that a lever action I see? Love it! ), but I feel the barrel could use a little something more. Maybe a more complex flash hider? Something with a little more panache and visual interest to sell the look. Loving how it looks so far. Keep up the great work!